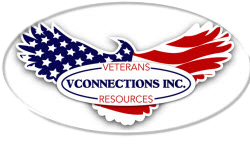 Health & Wellness – VConnections, Inc.
Travel barriers due to the long distance to care and lack of public transportation contribute to limited access to care for veterans in rural communities when compared to veterans residing in urban communities. VConnections has aligned with VA Affairs and local healthcare partners to address these issues facing veterans and their families living in rural communities. Our goal is to find a way to improve access to healthcare services and the use of medical technologies currently available.